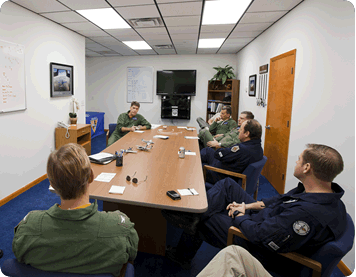 UAT’s Ground Training is designed to educate pilots about aerodynamic and physiological occurrences that can affect flight decisions and how to manage them. 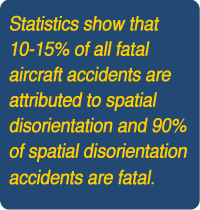 Spatial disorientation is often caused by flight into low visibility conditions in which the perception of direction does not agree with reality. Led by Dr. William T. Busch, former Naval Flight Surgeon and Board Certified Ophthalmologist, students learn about the dangers of spatial disorientation and other illusions. Dr. Busch’s comprehensive program provides an in-depth overview of the physical attributes of spatial disorientation and recommends how to prevent and recover from spatial disorientation if needed. In addition to the aeromedical aspects of unusual attitudes and upsets presented by Dr. Busch, the understanding of aerodynamics is essential to proper and safe recoveries. In Ground School, an in-depth study of aerodynamics is presented which helps students further understand and reinforce recognition and recovery options and choices.